Stress is a prevalent component in today’s fast-paced world which can negatively impact on an individual’s health and well-being. At the Stress Relief Center of Long Island, our team of trained and caring professionals possess the skills and tools necessary to help you release that negative stress and stay positive, active, and healthy. Our mission at the Stress Relief Center of Long Island is to help busy and overworked people heal physically, emotionally, and spiritually by reducing and relieving the negative stress in their lives. All of our expert medical professionals are New York State licenced and insured, and we accept most insurance plans. Targeted toward specific problems, a medical massage addresses the needs of the patient’s unique condition. Our therapists perform medical massages customized for your problems, combining a variety of techniques in order to heal the area and alleviate your body’s stress. Acupuncture has been used for centuries to treat a variety of medical conditions, but new studies have proven it can also be an effective means of relieving stress, anxiety, and even depression. 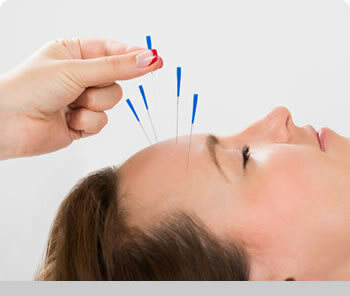 Let our trained acupuncturists give you the relief you have been looking for. Our therapists are able to mobilize and release soft tissue restrictions to allow for proper function of the muscles. Combined with the latest Active Release Techniques (ART), your pain will decrease, you will regain function and, the stress in your body and muscles will be relieved.